Plymouth Players Dominate Again………But For How Long? Plymouth potting star Haydon Pinhey looked like he was cruising for a third tournament victory in less than two months, until fellow Plymouthian Mitchell Grinsted stopped him just short in the final of the first West of England Billiards & Snooker Foundation Gold Waistcoat Tour event of the season. The final was a close affair and could have gone either way. Pinhey, having comfortably won the first frame, was pegged back to one all only to miss a vital pink. This handed Grinsted the opportunity to secure the frame and take the match to a final frame shoot-out. Grinsted started the frame well, pouncing on a rare mistake by Pinhey to construct a fine 59 break which proved decisive in his victory. Along with trophies and a share of the £540 prize money these two head up the ranking table going into the next event in the New Year. To come through the knockout stages on his way to the final Grinsted defeated three class players; Alan Tunney (Torbay), who had initially set the high break bar at 105, was Grinsted’s first victim in the last sixteen. Grinsted followed this with a win over top Bristol potter Terry Challenger in the quarters before taking the big scalp of Torbay’s finest and reigning champion, Andy Neck in the semi-final. Pinhey’s run to the final was arguably just a little less testing. However, his frame winning breaks of 64, 58 & 57 secured wins over Norfolk prodigy, Jin Foulger; Exeter rising star, Jay Bullen and an in-form Cornishman Alan Hurley. Unfortunately for Hurley he was forced to concede in the semi-final as time ran out to catch his train home. In the knock-out stages breaks came from Neck (66 & 47); Challenger (55); Grinsted (59 & 51); Pinhey (64,58 & 57) and Hurley (65,55 & 43). The group stages provided a plethora of breaks. Group A was won by Neck who posted breaks of (72 & 90). Close behind was fellow Torbay potter Alan Tunney who made a string of breaks (105,89,70,65,54 & 49). Hurley finish in third place with breaks of (86,57,55 & 51). The final qualifying place was taken by Mark Legassick (Plymouth) who narrowly edged out Graham Ward (Sidmouth) on frame count-back. Bullen topped group B aided with breaks of (97,80 & 42). Rob Johns (53), Cornwall pipped Challenger (55) into third place on frame difference and after a poor start the quality potter from Newport, Callum Lloyd finished strong in fourth place, after finding form to make a fine 83 break followed by a superb 115 that took the high break prize. Group C was dominated by the tough match play of Hassan Vaizie (60) from Gloucester who only lost one frame on his way to qualification. Second spot went to Cornishman, Darran Lock (53) who finished just ahead of Steve Brookshaw (Plymouth). Andy Astin from Torbay finished fourth. The final group B proved to be the toughest to qualify from. Three players drew level on matches won, after comparing frame difference Dean Anderson (Plymouth) finished top, ahead of Pinhey (72,63,62 & 56) and Grinsted (58 & 40). Foulger took the final qualifying spot edging out the exciting potter Dan Legassick from Plymouth who notched up breaks of 45, 48 and an 88 clearance. WEBSF spokesperson said, “The first three WEBSF tournaments of the season have been dominated by Plymouth players. I firmly believe that this can be attributed to the regular coaching and tournament matchplay that the WEBSF team have provided over the past nine years. However, quality players from other parts of the region are becoming regular competitors at our tournaments and I believe they will rise to the challenge and raise the standard to even greater heights. What is even more pleasing is the way in which these players compete with mutual respect and no animosity, they are a credit to our sport.” The next event at the South West Snooker Academy, Gloucester is already fully booked. Thanks to The Plaza Snooker & Pool Club, Plymouth who provided excellent facilities and sponsored this event. Ben Fortey from Hereford won event 2 of the West of England Billiards & Snooker Foundation Gold Waistcoat Tour at the South West Snooker Academy, Gloucester. Fortey faced Haydon Pinhey (Plymouth), who was competing is his fourth consecutive final of the season in a late night ‘Black Ball Shoot Out’. This elevates Fortey twenty five places up into fourth place in the rankings behind current champion Andy Neck (Newton Abbot) in third place. Mitchell Grinsted and Pinhey lead the chase for the overall title in joint top. Kurtis Weaver from Bristol is starting to make an impression by reaching the semi-finals before losing out to Pinhey. This moved Weaver up eighteen places into fifth spot whilst in the other Semi-final Grinsted fell just short of back-to-back event wins at the hands of Fortey. In the quarter finals Pinhey edged out Neck in a deciding frame; Weaver took out Luke Stilwell (Bristol); Fortey (68 break) beat Jason Simmons (Truro) and Grinsted narrowly beat Dan Legassick (Plymouth). Pinhey and Neck move up into second and third places respectively in the prize money table and are closing in on Professional Sam Baird’s total. Pinhey has also holds the record for the most prize money won in a season, which he is on course to better this season. This event saw the total West of England Billiards & Snooker Foundation prize money top £30,000 in this the ninth season of tournaments. The group stages took longer than usual to complete as the players struggled to deal with the testing conditions of professional standard tables. Legassick is renowned for his attacking bold approach. This paid dividends on this occasion as he took group A without the loss of a single frame posting breaks of 40, 50 & 67. Second qualifying place was decided on frame count-back between Aarron Cook (Gloucester), Andy Astin (Torbay) and Simmons who just edged out the other two. Grinsted headed-up group B just ahead of Fortey, Fortey posting breaks of 40,43 & 49. Hassan Vaizie (Gloucester), narrowly missed out on qualification due to a poor start in the early matches and despite making a 56 clearance and the best break of the day an 84 to take the break prize as a consolation. Neck was as solid as ever in taking group C, potting a 78 break for good measure. The second qualifying spot went to Stilwell who edged past Rob Johns from Redruth on frame count-back. Chris Coumbe (Plymouth) the only other break maker in this group with a 53. The final group D proved a cliff hanger. Weaver scythed through the field without loss to secure the top spot. However, five players where level on matches for the second place. After taking into account all matches played, Pinhey came through due to picking up vital frames when losing matches. Darran Lock (Seaton), Gary Weeks (Exeter), Wayne Branton (Plymouth) & Mitch Wood (Barnstaple) all narrowly missing out. Pinhey posted three forty plus breaks, Kurtis one forty and Wood another. WEBSF spokesperson said, “On balance the tables came out on top today. The tight pockets, lightning fast bed-cloth and very responsive cushions require a deft touch and a high degree of accuracy in order to make sizable breaks. These conditions place significant demands on players maintaining their concentration as they tire over a long day of tough competitive snooker. The upside is that the players will have gained much from the experience and hard work that they will, no doubt, take into the next tournament scheduled for the 15th March 2014. Youngster Ben Fortey has shown much promise over the past couple of seasons and it comes as no surprise that he has won here today. Haydon Pinhey is developing consistency and is growing in confidence that will see him a strong contender for the overall title which is normally decided in the closing stages of the tour. As the season is unfolding the Bristol contingency is starting to make inroads with Kurtis Weaver currently leading the way which could signal an interesting battle ahead.” Thanks to The South West Snooker Academy, Gloucester who provided excellent facilities and sponsored this event. Top Plymouth cueist Darren McVicar came saw and conquered at this his first outing of the West of England Gold Waistcoat Tour. Event sponsors, The Plaza Snooker & Pool Club, Plymouth, provided excellent conditions which brought out the best from the 28 top players from around the region. McVicar defeated one of the main contenders for the overall tour title, Alan Hurley from Redruth, in the final. This ensured him the lion’s share of the £540 prize pot. In the previous knock out stages McVicar edged out event one winner Mitchell Grinsted on a deciding frame. He followed this with a win over Kurtis Weaver from Bristol, who is quietly progressing up the rankings with each event. In the other half of the draw Hurley took the significant scalp of current champion Andy Neck of Newton Abbot. Hurley was clinical, posting two frame winning breaks of 65 & 66 in his 2-0 win. He then narrowly beat Dale Branton, Plymouth aided by a 46 break. In the remaining knock out matches Branton (55 break) beat Steve Brookshaw, Plymouth in a close encounter and Weaver beat Alan Tunney, Torbay in another closely fought battle. The group stages made up most of the days play and saw Hurley and Weaver run away in group A to qualify. Hurley winning six out of seven matches with breaks of 59, 63, & 78 and Weaver, undefeated, knocking in breaks of 51 & 74. Other breaks in group A came from; Reece Watters (Plymouth) 42 and Michael Rogers (Taunton) 64. Grinsted was also undefeated in wining group B, posting breaks of 41, 41 & 52. The second qualifying spot went to McVicar who edged out Chris Coumbe on frame count-back. Coumbe (54 break) played solid snooker on the day and was instrumental in preventing qualifying regulars Haydon Pinhey (44, 45 & 51) and Dan Legassick from progressing to the knock out stage. Group C produced the best break of the day, a fine 90 by Rob Johns from Redruth. However, this plus another break of 46 was not enough to see him qualify. Tunney (41, 51 & 71) and Brookshaw (77), only dropped just one match each to go through from the group. Other break makers in group C were Darran Lock from Seaton (60) and Bradley Anderson from Tavistock (41). Neck played his usual consistent matchplay to win all his matches to take group D, aided with breaks of 57, 58 & 85 clearance. Second spot went to Branton who posted breaks of 53 & 87. Other breaks came from Wayne Branton 70 and Jamie Graham 41, both from Plymouth. Plymouth talent is currently leading the way with Grinsted and Pinhey heading the ranking followed closely by; Cornwall based Welshman, Hurley; Bristolian Weaver (Jnr) and Devon ex professional Neck all close on their heels”.all bodes well for an exciting second half to the season. WEBSF spokesperson said, “At the halfway stage there are realistically five players in with a shout of taking the overall title. The arrival of Darren McVicar on the scene has added another dimension and he will no doubt play a significant part in the final outcome. High climbers Dale Branton, Alan Tunney and Jamie Graham all made good progress in the ranking table. Chris Coumbe is also worth a mention, excelling in the group stages he just fell short of qualification due to the dreaded frame count-back.” The next Gold Waistcoat event is again at the Plaza on the 26th April. Thanks to The Plaza, Plymouth who provided excellent facilities and sponsored this event. After a couple of mediocre performances in previous events, current West of England Billiards & Snooker Foundation Gold Waistcoat Tour Champion, Andy Neck (Newton Abbot) fought his way back to the top of the tour rankings with a victory in event 4. Still not playing at his very best Neck called on his experience as a former professional of the green baize to edge out three of Plymouth’s finest cuemen; Haydon Pinhey, Wayne Branton and Steve Brookshaw. All matches were won by deciding frames. Brookshaw also had a tough run to the final, wining a deciding frame against Rob Johns (Redruth) followed by a good win over Alan Tunney (Torquay). Two top players from Bristol also reached the knock-out stages; Terry Challenger and Kurtis Weaver. These too lost by deciding frames against Branton and Tunney respectively. With two events to go Neck is just 20 points clear of Plymouth duo, Pinhey and Mitchell Grinsted who are both on 1660 points. In the group stages Tunney dominated group A finishing unbeaten and posting breaks of 71,65 & 44. The second qualifier was Branton (Breaks: 40 & 41). Other breaks came from; Darran Lock (46 & 44) and Bradley Anderson 42. Weaver (71 break) won group B but there was a three-way tie for second place; Neck, with breaks of 73,66,66,50 & 47 narrowly won through on frame count-back against Johnny Watters (Tavistock) and Jason Simmons (Truro). Jamie Graham (Plymouth) made a 58 break in this group also. Johns with breaks of 57,53,50 & 49 and Challenger making breaks of 79 & 49 tied in group C, Johns finishing top on frame count-back. Other break-makers were; Andy Astin (Paignton) (49,46 & 42); Dan Legassick (Plymouth) (53 & 49); Alan Hurley (Redruth) (79 & 49) and Grinsted 48. Pinhey found some good form, after a lean spell lasting two months, to win group D undefeated. He also posted breaks of 73 and an excellent 96, which took break prize. Brookshaw qualified in second place aided by breaks of 44 & 42. Rising talent Reece Watters increased his best match break to 85, adding further breaks of 75 & 54. WEBSF spokesperson said, “The going was tough today, especially when it came to the knock-out stage. All sixteen players were capable of winning and Andy Neck will have been pleased to do so. By his own admission Andy did not play at his best today but demonstrated that sometimes experience and resilience is what’s needed to battle through a tough field. This victory is a lesson to the younger players, some who played well today but were wanting when it came to the close frames. One young player that is making his mark this season is Reece Watters, he set a personal best today and will certainly be one to watch for the future”. The next Gold Waistcoat Tour event is again at the Plaza on the 17th May followed by a two day event at the South West Snooker Academy, Gloucester on the 21st and 22nd June. Thanks to The Plaza, Plymouth who provided excellent facilities and sponsored this event. Johns Finds Gold at Last! Rob Johns from Redruth has been a regular competitor of the West of England Billiards & Snooker Foundation tournaments for a number of years. His persistence and time spent on the practice table has paid off, at last, with an excellent win against Wayne Branton (Plymouth) in the final of th Gold Waistcoat Tour, event 5. The closely contested final was played out after a full day of snooker at the Plaza Snooker & Pool Club, Plymouth. To progress through the knock-out stages Johns edged out Dean Anderson (Tavistock) in a deciding frame before beating Mitchell Grinsted in the semi-final. Grinsted must have wondered what he had to do having posted two fifty plus breaks and he still lost 2-0. In the other half of the draw Branton played solid snooker not to drop a frame against two tour front runners, Andy Neck (Newton Abbot) and Haydon Pinhey (Plymouth). The other quarter finalist were; Dan Legassick (Plymouth) who lost to Grinsted and Alan Tunney (Torquay) who lost to Pinhey. The standings in the overall ranking table see’s Grinsted and Pinhey locked at the top on 2160 points. Neck slipped from top to third just a few points behind on 2080. Mathematically Johns has an outside chance, if he could repeat this win, but the others would have to finish bottom of their groups which, for these two quality players, has never happen. The leaders will battle it out for the overall title at the final event of the season which takes place at the South West Snooker Academy, Gloucester on the 21st & 22nd June. In the group stages Pinhey finished top of group A undefeated, with Anderson a close second. Breaks came from; Tony Canning (Plymouth) who made a 52 and Anderson, an excellent 84 break but it was Pinhey that produced a superb 92 clearance that took the joint highest break prize. This break being matched by group D winner Tunney who also posted three forty breaks. Runner-up to Tunney on frame count-back was Legassick who made a couple of forty’s. Wayne Branton made light work to win group B, making breaks of 47, 51, 53 & 56. Johns came second in this early encounter and Dale Branton posted a 66 break. Arguably the toughest group C finished with a three-way draw between Grinsted, Neck and Steve Brookshaw (Plymouth). After frame count-back Brookshaw fell just short, leaving the other two to go forward into the knock-out stage. Breaks came from Grinsted 68 and Neck 44, 46, 48 & 86. WEBSF spokesperson said, “Good performances from Rob Johns and Wayne Branton has made things very interesting going into the final event. The difficulty of the professional tables at the Academy will demand a high degree of concentration and precision potting. This should favour the experienced Andy Neck. However, if the two younger contenders can hold their nerve their slender lead could prove crucial. Let’s not forget also the outcome of the random draw and the addition more quality players attracted by this two day event at the academy”. 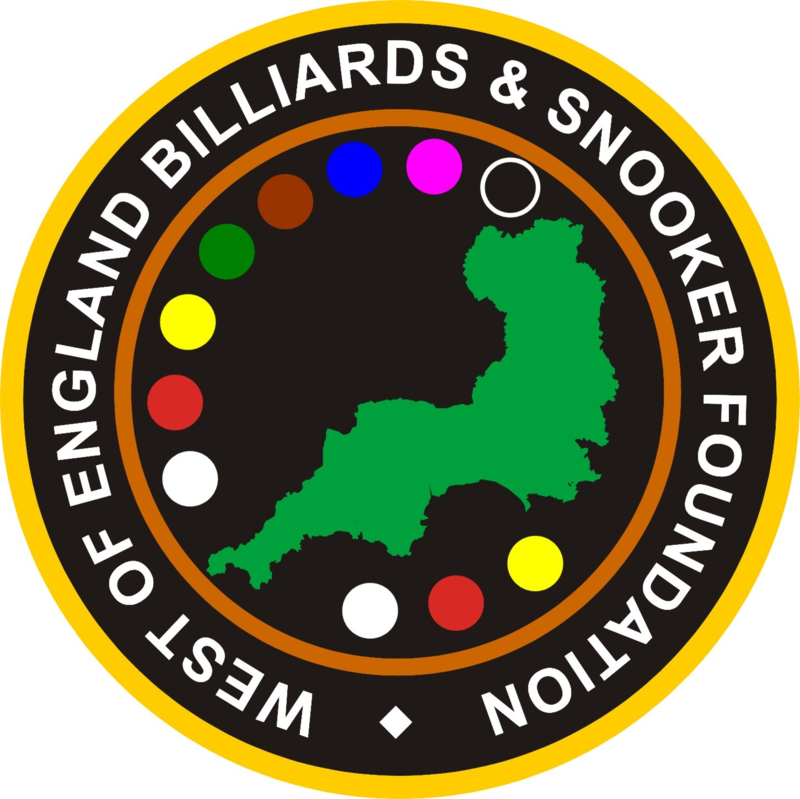 Any snooker players interested in WEBSF events should contact Steve Canniford, Mobile 07891940995 or visit http://www.websf.co.uk or WEBSF Facebook. Thanks to The Plaza Snooker & Pool Club, Plymouth who provided excellent facilities and sponsored this event. With four players: Andy Neck (Newton Abbot), Mitchell Grinsted (Plymouth), Haydon Pinhey (Plymouth) & Rob Johns (Redruth) in with a chance of taking the overall WEBSF Gold Waistcoat Tour title in the final event of the season the tension was going to be electric. Day one of the two day event saw the majority of the round robin groups matches played down to the final round which was held over until the second day. Play resumed early Sunday morning and the first casualty from the top four contenders was current champion Andy Neck. Neck, despite winning his final match, failed to qualify for the main knock-out event. However, being the tough player that he is, he kept his composure to go on and win the Plate knock-out event, beating Darran Lock from Seaton, Cornwall in the final. Next contender to fall by the wayside was Johns who found Scottish International Eden Sharav too hot to handle in the quarter final. Both Pinhey and Grinsted also made it through to the quarter finals and with only 20 ranking points separating them tension was in the air. The first to lose would open the gate for the other to take the title. Grinsted was first to fall, losing 3-0 to Welsh International and former Welsh, European & World Amateur champion Ian Preece. All Pinhey had to do was hold his nerve and beat his opponent. There are no easy matches when you get to the knock out stages and even though Pinhey’s opponent Weaver does not have the same pedigree as Sharav he was in good form and beat Pinhey by the same 3-0 score-line. After taking the results of the best five out of six tour events, Grinsted’s ranking points tally of 2540 was just 20 points more than Pinhey’s 2520 which was enough to win him the title. Neck finished in third place on 2460 and johns fourth on 2130. With the overall tour champion decided there was still event six to complete. The semi-final line up looked very tasty: Ian Preece, who had won his group with the loss of just one match, bagged a string of breaks 86,82,77,75,68,66,59,59,58,49,48 & 45 evidencing his prolific break building prowess; Eden Sharav who had won his group, undefeated, with breaks of 93,86 & 42; Kurtis Weaver who was also undefeated at this point, posting breaks of 74 & 57 and finally former professional, Hassan Vaizie, who although ‘breakless’ grafted his way into the semi-finals with solid workman like performances. In the first semi-final Preece led Sharav 2-0 and looked every bit the winner. However, the breaks dried up for Preece and Sharav responded with a run of three frames, which included a 54 break, to win 3-2. In the other semi-final Weaver kept his form to beat Vaizie 3-0 and join Sharav in the final. The final promised to be a close affair, especially after Weaver took the first frame. However, Sharav came back with three quick frames to win 3-1, win event six, take the winners trophy and the lions share of the prize money. The highest break prize for the weekend went to Grinsted for a fine 97 made in the group stages on day one. The overall highest break of the tour was a 115 made by Welsh International Callum Lloyd.